On December 12, 2018, Santa Cruz County's Planning Commission approved the development of 6 structures, 11 dwellings with 31 bedrooms at 2340 Harper Street to be used as affordable housing. While recognizing the need for affordable housing in Santa Cruz, a sizeable number of residents in the neighborhood, including myself and my family, have been opposed to the scale of this development for the impact it will have on our narrow, unimproved, dead-end street and on our local wildlife, as well as the county's handling of the project. This proposal goes before the County Board of Supervisors at their meeting on Tuesday, January 29, 2019. Please sign now to urge them to vote NO on the development as proposed. The concern of the community for the scale of this development is SAFETY. Adding at least 50 additional residents and their automobiles to a dead-end, substandard street that varies in width and frequently has only one passable traffic lane is unsafe. 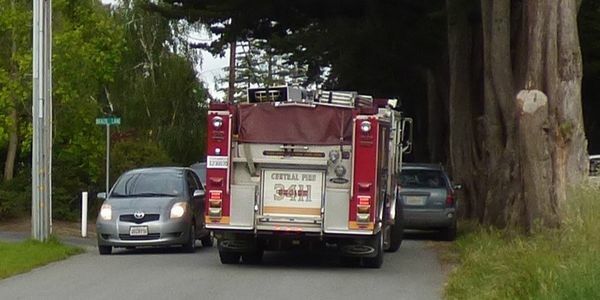 We have demonstrated that in the case of a fire on this street, it is very possible that a fire truck cannot gain access to the further reaches of Harper Street. The street is already narrow for pedestrians and especially children cycling to local schools. Furthermore, revisions to the Public Safety & Hazard Management General Plan are being considered by the County Planning Department. One revision would prohibit newly constructed dead-end streets in suburban neighborhoods that are more than 500 feet from a through road. This development on Harper Street is roughly 625 feet from Chanticleer. Clearly, the fire danger of dead-end streets is recognized. However, only one Planning Commissioner voted against this development based on this potential revision. Again, this further emphasizes the SAFETY issue on Harper Street and is another reason to urge the Supervisors to vote NO. Because this development is for affordable housing, the project has been given numerous exemptions and density bonuses that, as a result, have allowed for the project's large scale without considering its impact on the local community. Lastly, the scale of this development will impinge on the natural habitat of this property and its wildlife that includes foxes, coyotes, owls, and hawks. Once again the project was given an exemption because it is affordable housing, this time to the California Environmental Quality Act. We do not oppose the addition of affordable housing outright, but we do oppose the scale of the project as planned. Please join us in urging the County Board of Supervisors to vote AGAINST the current proposed development and to request that the applicant revise the total number of bedrooms to significantly less than the current 31.